Would you like to be the first to be informed of any news regarding AMAB? Then follow our webpage on LinkedIn, where you will automatically get to see our updates. 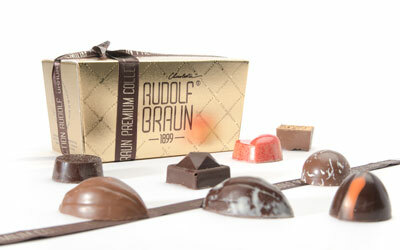 A ballotin is the fancy name for box specially designed to hold pralines. This luxurious gift packaging was designed to replace the cornet bag, which is how pralines were originally packaged, and often damaged. 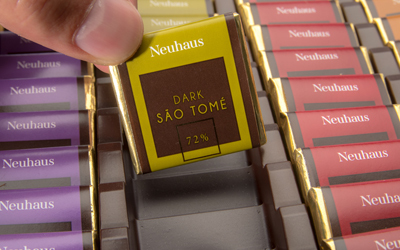 Everyone knows them—the small, square chocolates (3 gr or 5 gr) packed in personalised paper. 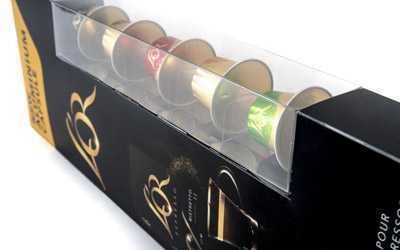 Often presented with coffee or used as a promotional gift but also packaged in a luxurious and modern box. Recent years have seen an enormous gin hype here in Belgium. 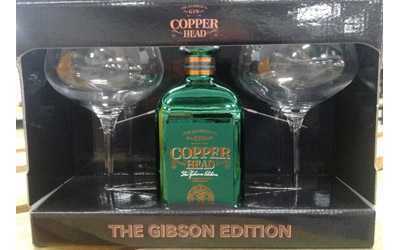 In response to this, our customer Jet Import has launched the Copperhead gift box on the market for the year-end holiday period. This special gift box contains a bottle of gin and 2 glasses, and it will be assembled by AMAB. 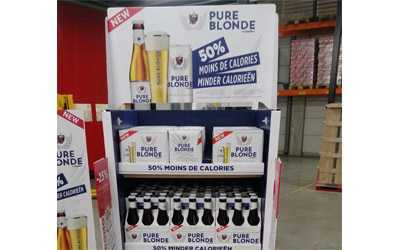 Pure Blonde offers customers the chance to drink a delicious lager, but with less alcohol. Ideal for those who want to celebrate the holiday season with moderation. 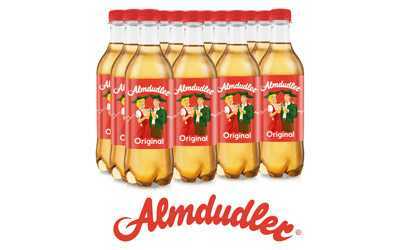 AMAB is the Jet Import partner for a national display campaign by Almdudler, the herbal lemonade drink from the Alps. The repackaging of drinks, food and retail is our passion. 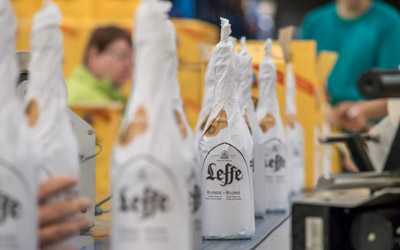 To better serve this market, AMAB has extended its Certified Warehouse Keeper license for its sites in Zaventem and Halle. 15/06/2018 | Renewed collaboration between Odisee and AMAB! 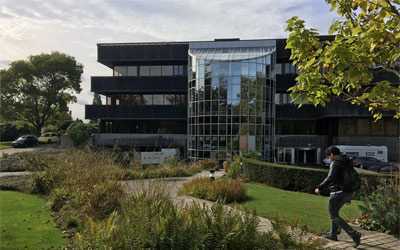 With approximately 10,500 students, Odisee is among the largest educational institutions in Flanders. 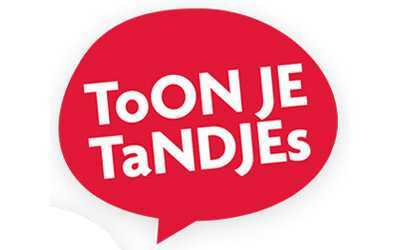 08/06/2018 | CurieuzeNeuzen Vlaanderen… a collaboration that lingers! 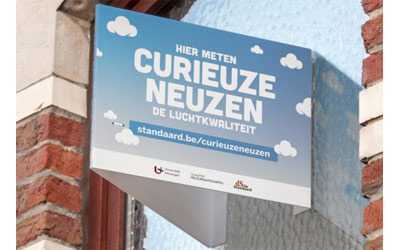 CurieuzeNeuzen Vlaanderen is a citizen science project that aims to map air quality in Flanders. AMAB not only invests in people – we also invest in infrastructure and machines. 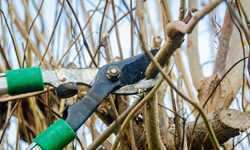 Regular pruning is important for the healthy growth of trees and shrubs. After all, pruning ensures new growth! But what is the best way to prune, and at what time? Let AMAB explain. 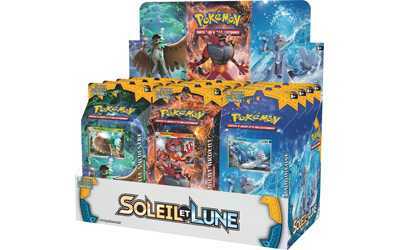 25/01/2018 | AMAB, a partner of Asmodee, assembles the Pokémon tin boxes. Find out how AMAB has approached and accomplished this task. 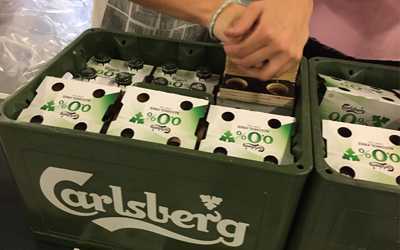 Carlsberg 0.0% is the latest completely new brew from the Carlsberg Brewery. While most alcohol-free beers still contain 0.5% alcohol, this new addition to the Carlsberg family is completely alcohol-free! 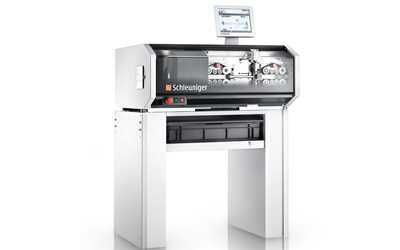 Discover the role of AMAB for this product. AMAB is the partner of AB-Inbev for a large nationwide display campaign of Cubanisto, a rum-flavoured beer. AMAB takes care of storage, set-up and assembly of the displays. After that, we fill them and make them ready for dispatch. Allow the experts at AMAB to fill your goodie bags, gift packages or promo boxes, for exceptionally professional results every time. More info and examples. 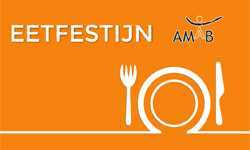 AMAB is holding its much anticipated annual banquet in Asse on 14th and 15th October. Everyone is welcome! L’OR is currently presenting a new generation of aluminium capsules, which have been specifically designed for use with Nespresso coffee machines. 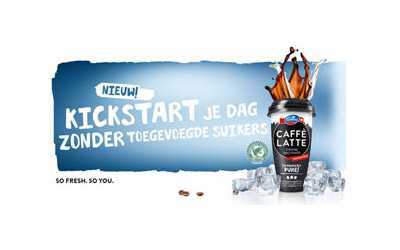 AMAB prepared a campaign through which extra attention would be placed on these capsules on the store shelves. 27/06/2017 | AMAB supports the Belgian newspaper De Standaard with its Uw Dagelijks Brood (Your Daily Bread) campaign. 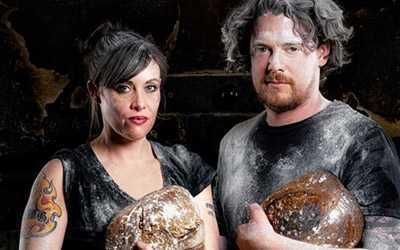 In the weekend edition of De Standaard, the focus was on simple and pure bread. Take a look at what AMAB did to make this campaign a success. 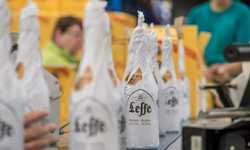 AMAB supports the beer brewer AB-Inbev in its “Leffe for Norcia” charity campaign. Norcia is the area in Italy that was hard-hit by an earthquake last year. Read how we helped here. 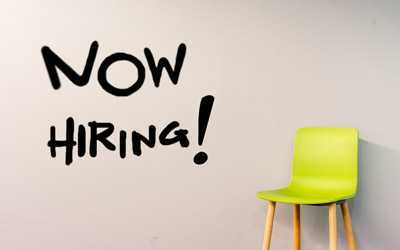 At our three sites, AMAB is looking to fill a number of different and interesting positions. 30/05/2017 | Project: Customised work for Toyota Motor Europe. Customised work project: Toyota Motor Europe goes for sustainability, and AMAB makes its contribution. 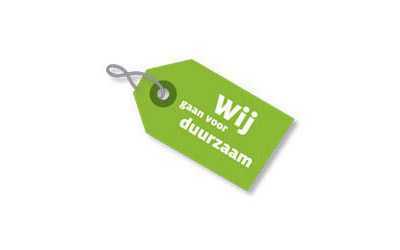 AMAB supports the field marketing campaigns of the brand activator Bananas, which are being carried out for Milka Leo. Read about how AMAB helped Bananas in their field sampling for Milka Leo. 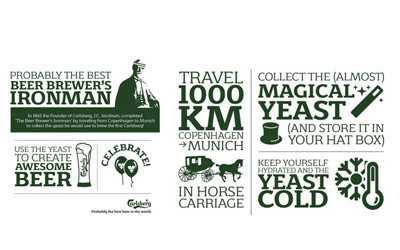 Carlsberg is celebrating its 170th anniversary in 2017, and it is launching the Carlsberg Vintage glass for the occasion. AMAB was responsible for the display packaging. 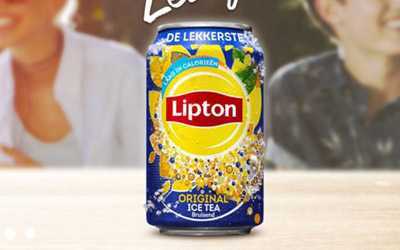 With spring just around the corner, Unilever wants to highlight Lipton Ice Tea Original, its top product, during the coming weeks. For that additional promotion, Lipton uses a glorifier. 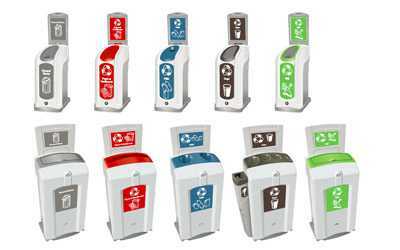 28/03/2017 | Project: Customised packaging for Het Grootste Licht! AMAB fills the goodie bags of Het Grootste Licht! 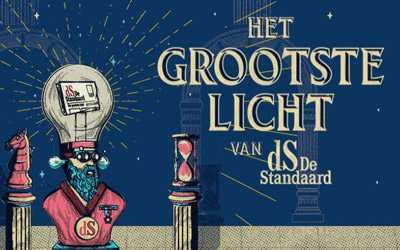 De Standaard has in the meantime been organising the quiz for young people “Het Grootste Licht” for the third year in a row. Participants do not go home with empty hands, as they receive a goodie bag that has been filled by AMAB. 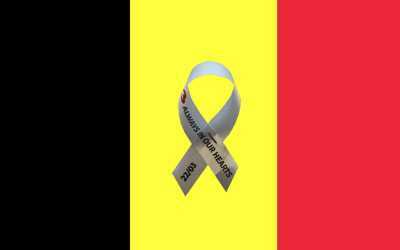 The 22nd day of March 2016 was a black day for our country, due to the severe terrorist attacks that took place in Brussels and Zaventem. Today we commemorate that day. AMAB was responsible for delivering the commemorative ribbons. AMAB is a partner for the TAO family of products, for a large nationwide display campaign. 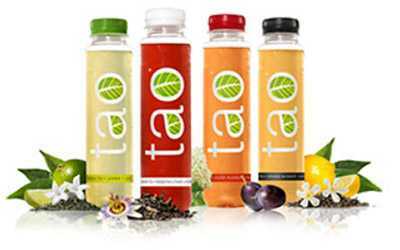 During this campaign, TAO Pure Infusion, a range of healthy, cold tea beverages is promoted. AMAB helps Brantano with “unstopping” the shoes. 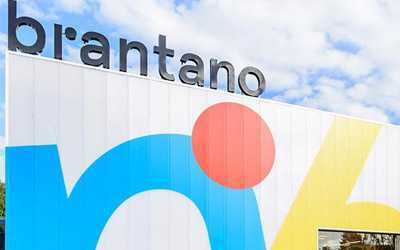 All of the shops of Brantano are undergoing a transformation and are closing their doors for just a short while. Are you interested in how AMAB is helping the reopenings to proceed more smoothly? Project: Customised packaging for the Belgian Socialist Mutual Health Fund. Children are not brushing their teeth often enough. The Belgian Socialist Mutual Health Fund has organised an original ‘Clean your teeth’ campaign in order to change this. And AMAB is also contributing. The gin hype has ensured that the sale of tonic has received a boost. 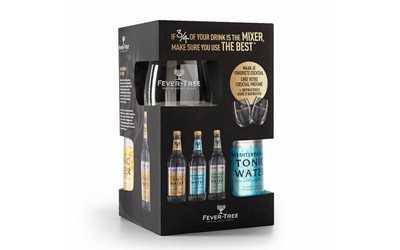 For Jet Import, AMAB has assembled a Fever Tree gift box. Would you like to know how we did that? 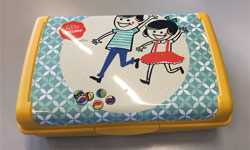 A beautiful example of customised packaging by AMAB! The Insiders is a special marketing strategy, which sees to it that consumers make publicity together for certain products. The participants become acquainted with products via test packages, and you can see how AMAB has put these packages together. The sustainable and adapted employment of our 800 employees creates real added value, which is available to small or large, and domestic or foreign enterprises. Thanks to our modern infrastructure, flexible employees and the advanced techniques that we use, AMAB makes its partners commercially stronger and increases their competitive strength. The sheltered workshops De Floere (Halle), BW Asse and Dymka (Zaventem) were merged at the start of January 2015, thereby establishing an umbrella organisation called AMAB, namely the ‘Associatie MAatwerkBedrijven’ (Association of Social Enterprises for Customised Work). This means that this non-profit association (vzw) can now cover a larger area of activity.